Thousands of kilometres of breathtaking mountain valleys, icefields 3 times the size of Paris and more unique photography locations than I’ll be able to visit in my lifetime - that's just a very short description of the Canadian Rockies. After living in New Zealand for a whole year followed by five months spent on the little mountainous island of Tasmania in Australia I knew I wouldn't be able to stay away from mountains for too long. 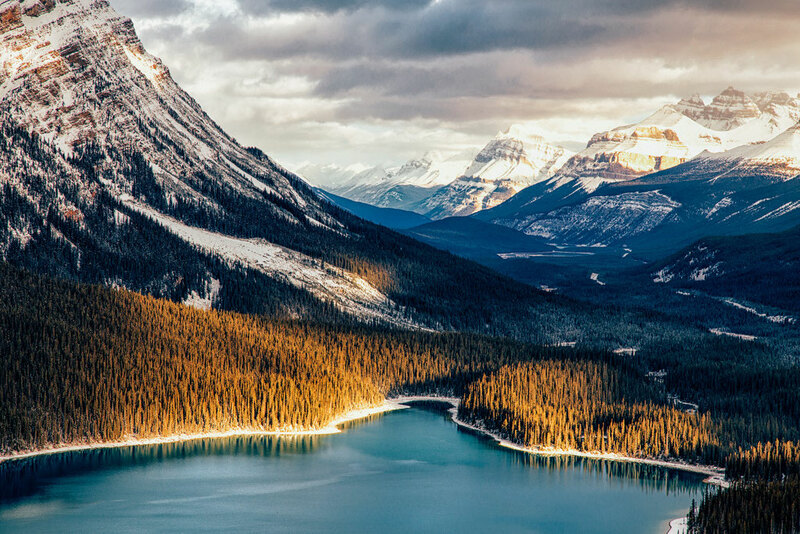 Once again given the opportunity to work and live abroad, this time in Canada I knew exactly what my next travel destination will be - the Canadian Rocky Mountains! 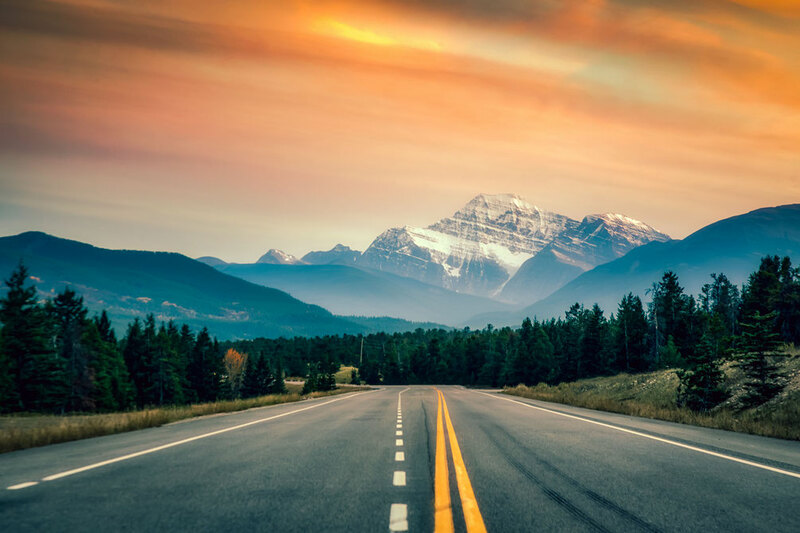 Even though there is an abundance of five star hotels and fancy restaurants, Canada is without a shadow of a doubt the definition of the phrase “road trip country”. There is a series of excellent campgrounds perfect for motorhome travellers and campers alike operated by the Parks Canada government agency. The nightly fees are more than reasonable and certainly won't leave a huge hole in your wallet. This itinerary is completely free for your own personal use. If you find it useful and would like to support me you are welcome to use affiliate links to hotel, rental cars and motorhome bookings. It will cost you nothing extra! If you have any questions about this plan let me know in the comments! As mentioned above this road trip is designed for those who love to be outside and don't plan on seeing the Rockies through the window of their car. The ideal travel time for this guide is between mid May until the end of September. Any time before or after that, you may run into difficulties with finding a campsite that is open. 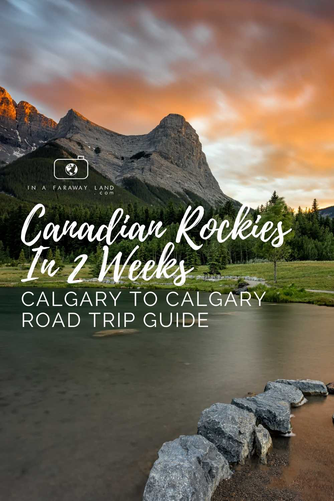 The itinerary starts and finishes in Calgary - the nearest international airport hub, and takes you through Banff National Park, along the Icefields Parkway and all the way up to Jasper National Park. 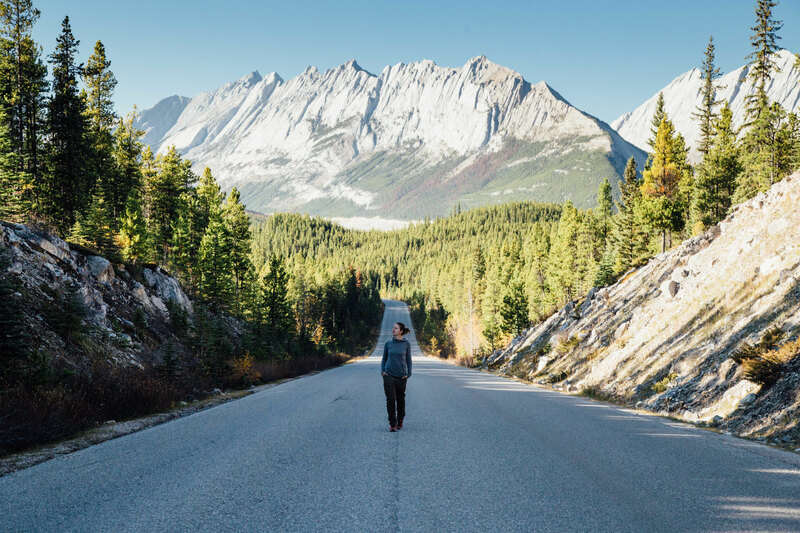 From Jasper you will make your way back down through Yoho National Park and finish in the Kananaskis country near Canmore. The optimal time for this road trip is 14 days, but it can also be easily shortened or prolonged depending on the amount of time you have planned. Below you can find the map of the whole itinerary. If you click in the top left of the map you will find separate layers marking the route, photography spots, hikes, points of interest and campsites. I've spent many months travelling through the Rockies in my minivan, which my partner and I converted into a tiny motorhome. Understandably enough, if you choose Canada as your holiday destination, you won't have time to do it yourself. In this case you will have to rent a motorhome. There is a vast array of campervan rental companies in Calgary and going through them all to find the best option will almost certainly give you a headache. To easy up your planning try Motorhome Republic. An awesome search engine which guarantees lowest prices and will help you choose camper van tailored to your needs. The rough estimate of this itinerary is 1500km. You will need to know this when booking your campervan as you will have to prepay for your kilometres. This itinerary is optimised for camper vans but could easily be done in a regular car providing that you bring camping equipment with you. If you are looking to rent a compact car try Discover Car Hire - World's best car rental search engine. Once you’ve arrived in Calgary International Airport, pick up your campervan and head to the closest supermarket. Although there are supermarkets in all of our road trip destinations Calgary has the cheapest prices so it’s better if you stock up before you hit the road. Besides once you get it over with you will have more time to enjoy your holidays! If your motorhome doesn’t already include it make sure you buy a compulsory Parks Pass. They cost around 136$ per vehicle. 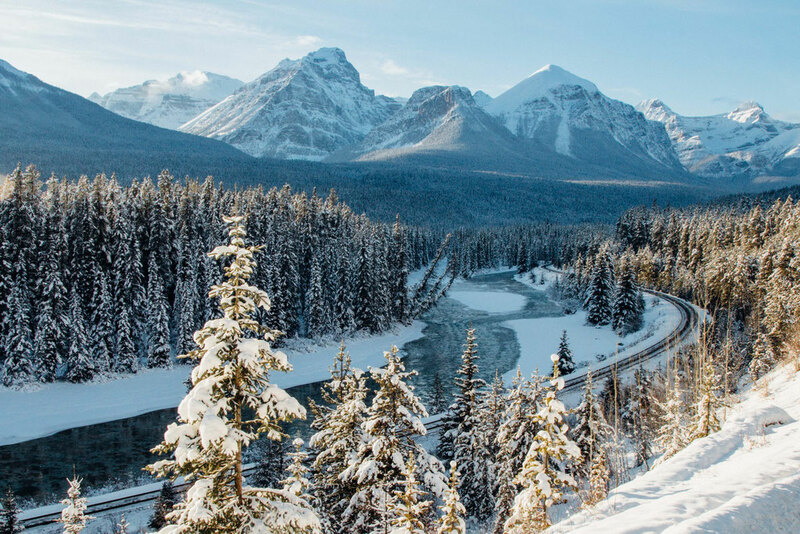 The toll gate where you can pick one up is just a few kilometres past Canmore at the entrance to Banff National Park, which you will be passing on your first day. There is an ample variety of campsites all along the spots enlisted in this itinerary. The majority of them are equipped with toilet and shower facilities as well as plug in options for those traveling in bigger motorhomes which require plugging in for electricity. The cost in the Province of Alberta is usually 27.40$CAD per site per night and each site is permitted to hold up to 6 people and max two cars. If there’s only two of you and you don’t mind sharing, consider asking other travellers in the check in line if they want to share a site. This will further reduce your travelling expenses. There’s an option of buying a fire permit for an additional 8.80$CAD a day. The permit also includes the firewood, so it’s an easy decision in my eyes. What’s a campsite without a fire, right? 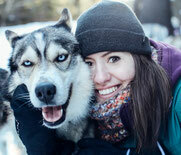 For a complete and current price list visit the Parks Canada website. 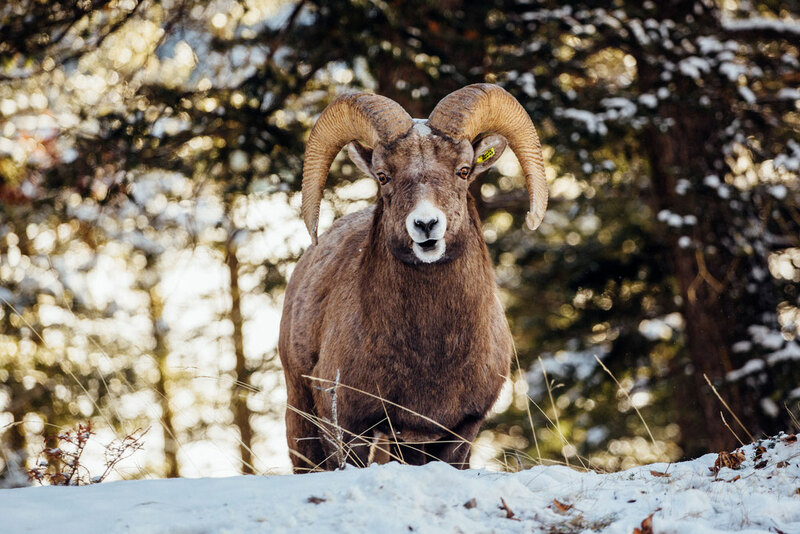 In the peak summer months (July and August) you will find it very handy to book the sites in advance, especially in the more popular areas like Banff, Lake Louise or Jasper. There’s nothing worse than turning up and finding out there’s no more spots available. All bookings can be made on the Parks Canada Reservation Website. Upon arrival to each campsite you will be briefed about the wildlife awareness and measures you will have to undertake in order to keep the wildlife safe. Furthermore I would highly recommend downloading the Wikicamps Canada phone app. The app has proven very useful to me many times when I was searching for campsites or points of interest. Everything is neatly organized and easy to find with this app. It also works offline making it useful when you won't have an internet connection. When you become acquainted with your new home on wheels for the next couple of weeks, then it’s time to hit the road. 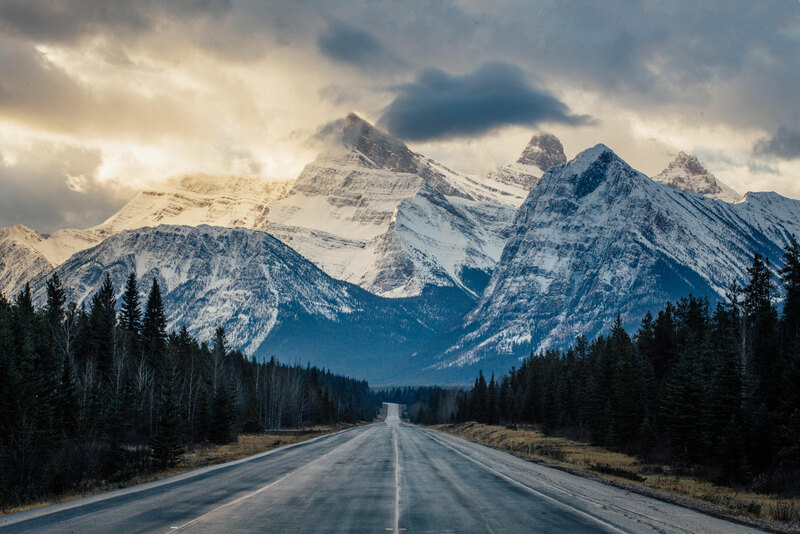 The main road from Calgary to the mountains is the Trans Canada Highway 1. 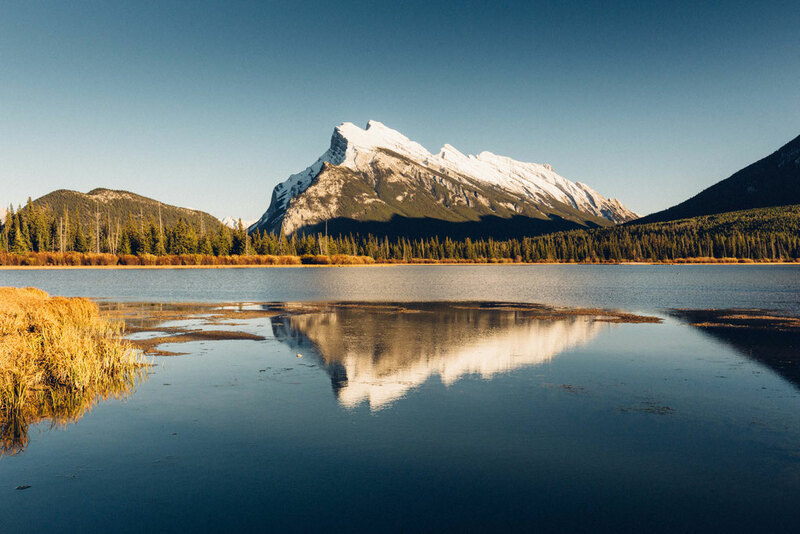 Banff is considered by many to be the main hub in the Canadian Rockies. It’s dream location coupled with it’s incredible geological features make it a top hit on our road trip. It’s quaint high street gets pretty busy in the summertime and so do many of the famous photography spots in Banff. The best time to visit locations is as early as possible to beat the crowds or later on in the evening to watch sunset whilst everyone else is having dinner. Early starts may be a bit arduous some mornings but the reward greatly outweighs the indignation. Once you arrive in Banff there are a few campsites where you’ll be able to call home for the next few days. My favourite, due it’s location and beautiful views that go with it, is Two Jack Lakeside campground. However, if you want to be closer to town centre you should go for the Tunnel Mountain Campground. 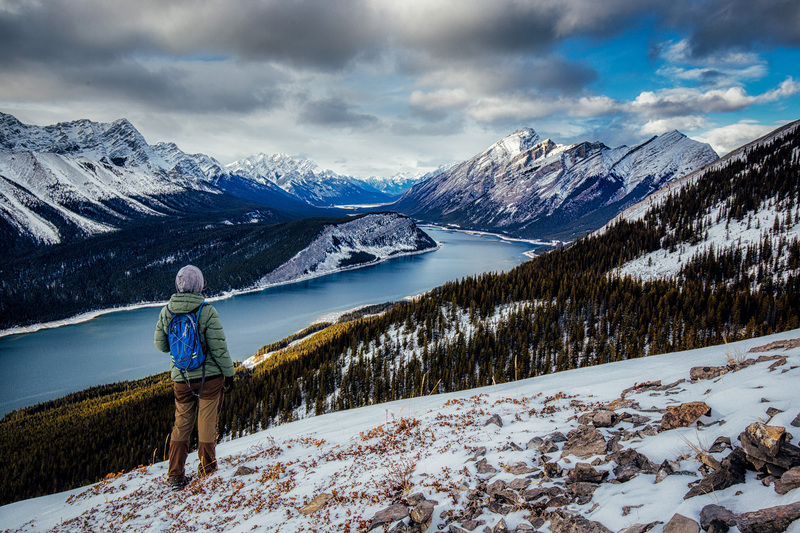 A series of relatively steep switch backs for 5.5km (3.4mi) will take you to the Upper Gondola Terminal on Sulphur Mountain. You’ll ascend 700m (2,300ft) and it’ll take around 1-2 hours one way. 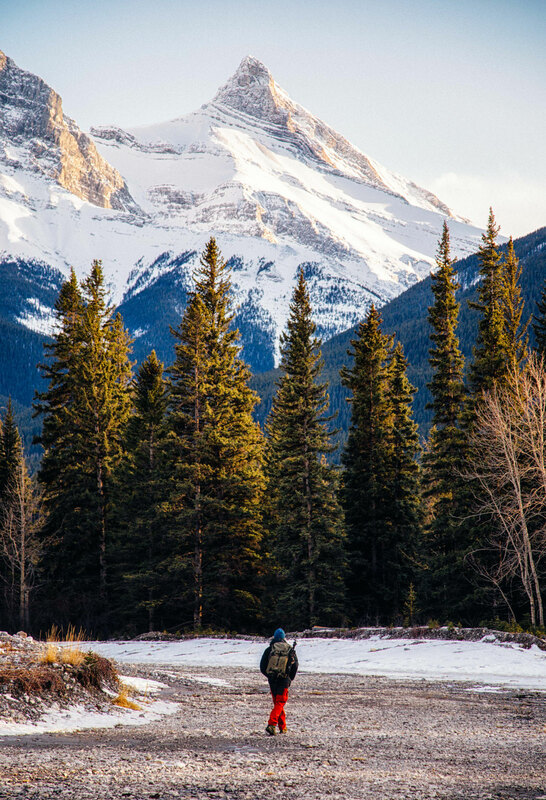 The views of Mount Rundle and Cascade mountain are well worth the effort. If you are not up for hiking you can take the gondola up and down but it costs an extortionate 62$ + tax per person. Frankly I don't think it's worth it, use your legs instead. For all trail maps and information about trail condition, I recommend first popping into visitor centre and Parks Canada headquarter located at 224 Banff Avenue right in the town centre of Banff. The Banff Hot Springs, which are conveniently located near the lower gondola terminal are a treat after a long days exploring. They are run by Parks Canada and at around $7CAD it's a bargain. If you decide to hike up the Sulphur Mountain you can treat yourself to the hot springs afterwards. It will be a perfect end to a long day. A cruise along Lake Minnewanka is an awesome way to see the Fairholme Range and the iconic Mount Inglismaldie. They depart every 30 minutes from the boat dock near the car park and cost around $60 CAD per person. Banff is extremely photogenic. In fact it's world class. Amateurs, hobbyists and professionals flock from all over the world to get the chance to take the photo of a life time. The biggest piece of advice I can give, when visiting the best photography spots in Banff National Park, is to make the most of blue hour, golden hour and sunrise and sunset. During the height of summer they might be at weird times but it's certainly worth it. Once you’ve had your fill off the electric atmosphere which surrounds Banff then pick up sticks and leave. Your next destination is going to be just as good, trust me. Continue on the Trans Canada Highway leaving Banff. After a few kilometres turn right onto the Bow Valley Parkway (1a). Your campsite for the night is called the Johnston Canyon Campground. It’s one of my favourites in the Rockies as it’s just had it’s facilities refurbished. 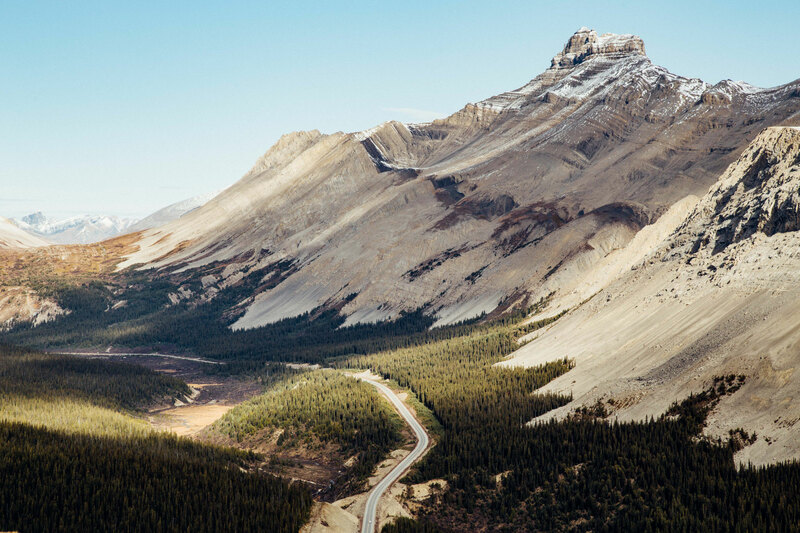 The Bow Valley Parkway is a mini version of the Icefields Parkway but it still packs one hell of a punch. 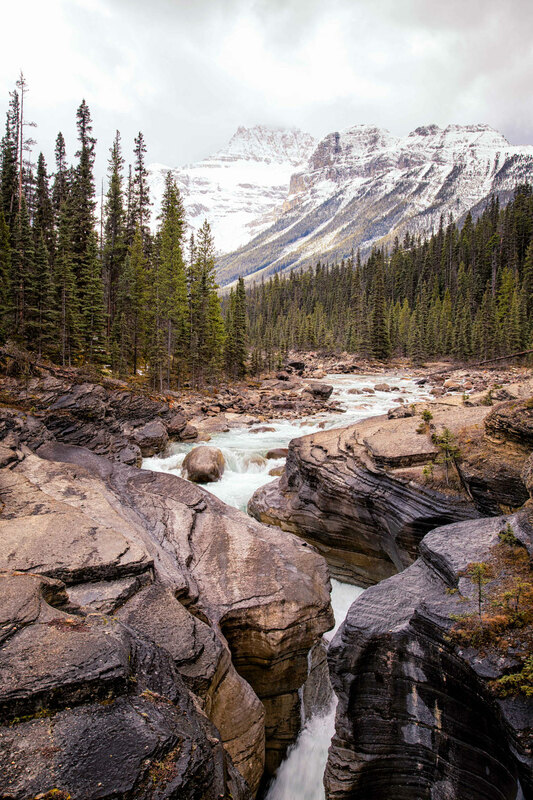 It’s home to the famous Johnston Canyon, Morant’s Curve and Castle Junction and a myriad of summer hiking trails. It’s only a 51km (32 miles) stretch of road but you can easily spend a day there. Since your time is limited I would highly recommend visiting Johnston Canyon. Make sure to get there early. The morning light coming through the trees and shining upon some waterfalls at early morning hours is a sight to behold. Providing the weather is good of course! Please note that From March 1st to June 25th, travel is not permitted between 8 p.m. and 8 a.m. on the 17-kilometre section of the parkway from Johnston Canyon Campground to the Fireside Picnic Area. This is to ensure the area remains a high quality home for wildlife. Remember to always keep your eyes on the road at any time. The Bow Valley Parkway finishes just past Morant’s Curve near the Lake Louise Village. This is where you'll spend the next 2 nights. 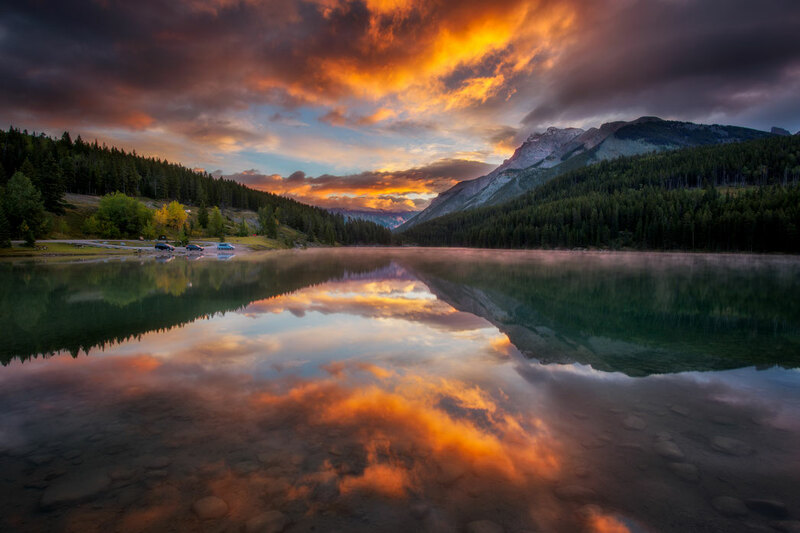 There are two campsites at Lake Louise, Lake Louise Tent (27.40$CAD) and Lake Louise Trailer (32.30$CAD). Both have encircling electric fences which deter the abundant wildlife living in the area. Although Lake Louise is a popular winter destination it becomes even more hectic in the summer. Bookings at the campsites are advised from the middle of June until the middle of September. Truth be told, there’s not much directly at Lake Louise Village, but it’s an excellent central hub to explore the beautiful surroundings. Lake Louise is a short 6 minute drive away from Lake Louise Village. I hope I am not confusing you here. The village and the lake have the same names. The lake's shoreline is a perfect location for the countless of hikes in the area. The 4km (2.5 miles) 1 hour return flat lakeshore stroll which gets you away from the hustle and bustle of the world famous Chateau Lake Louise and give you the perfect view of the surrounding mountains and glaciers. Further on along this path is the way to the much more impressive Plain of the Six Glaciers, it’s a longer 11km (6.8miles) uphill 4 hour return but it’ll transport you in some of the most pristine wilderness Canada has to offer. Surrounded by towering peaks and frozen glaciers, you’ll be blown away. Make sure your camera has enough battery and take some cash because there’s a teahouse on the way there too. If you’re feeling a bit more energetic than the Lakeshore but don’t think you can tackle the Plain of the Six Glaciers then the hike up to Lake Agnes is a good middle ground. It’s a 7km (4.4 miles) uphill return that should take around 3 hours. 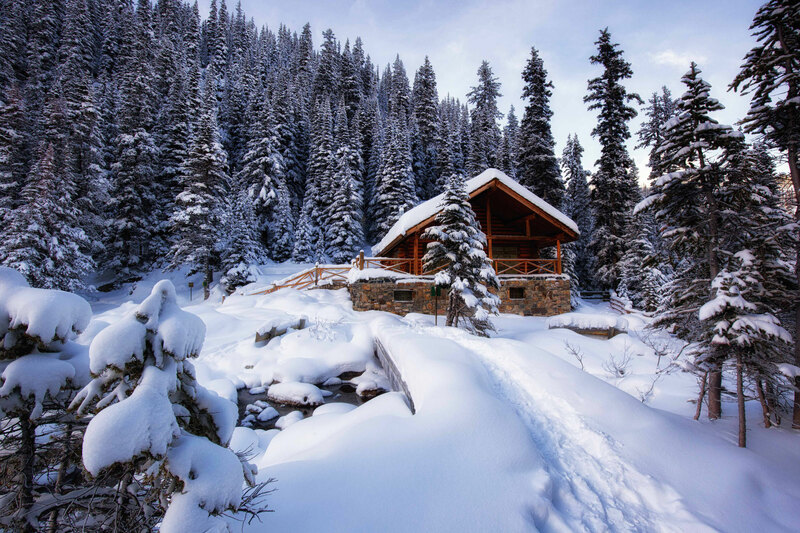 You’ll not only be treated to the view of Lake Agnes at the top but also the sensational Mirror Lake and several vistas overlooking the Bow Valley on the way. Again take some cash because there’s another tea house up there - the world famous Lake Agnes Tea House. 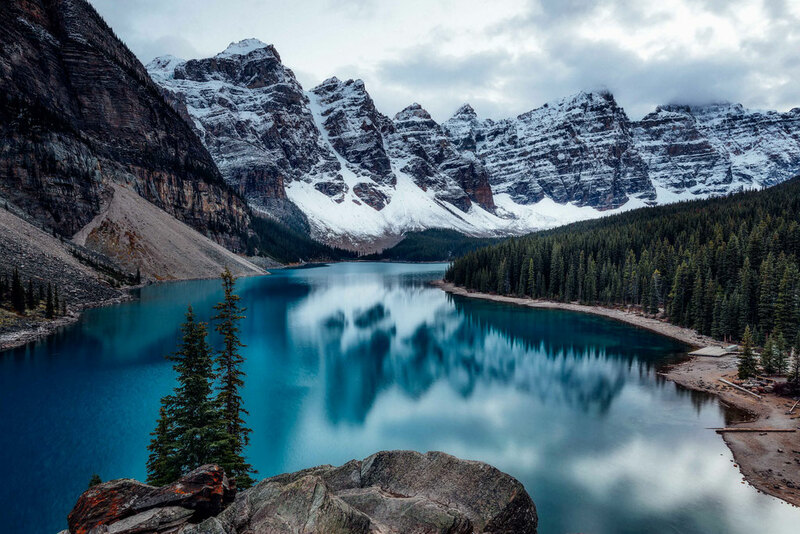 Moraine Lake is one of the many famous postcard pictures of the Canadian Rockies. It’s turquoise waters glisten in the sun and are incredibly framed beneath the famous Valley of the Ten Peaks. It’s a short 15 minute drive from Lake Louise Village, but it gets intensely busy during the summer holidays. The Lakeshore stroll is one of my favourites as it offers fantastic views to minimal effort ratio. It’s a 2.4km (1.4 mile) flat return which only takes 40 minutes. For the classic postcard view of the lake you’ll need to climb the “massive piles of stones” as Walter Wilcox proclaimed when he was documenting the area in 1899. However it’s not as daunting as he made it out to be and only takes ten minutes to get to the top. Another one of my favourite hikes (especially during September) is the Larch Valley Trail. It takes you 400m above the shimmering Moraine Lake through the forest amongst all the Larch trees before opening out amidst the valley of the Ten Peaks. If you’re there at the right time of the year (early fall) you’ll be amazed at all the different colours, if you’re not then the surrounding peaks are enough to leave you speechless, either way it’s a win. It’s a 10km (6 mile) 4 hour return to the Minnestimma Lakes, a 14km (9 mile) 6 hour return to the Sentinel Pass. Lake Louise Village marks the start of the Icefields Parkway (93N). This is the main drag connecting Lake Louise and Jasper and it is where you will be spending your next two days. The 232 km stretch of road which travels from Lake Louise in Banff National Park all the way up to Jasper encompasses, what I consider to be, the heart of the Canadian Rockies. Travel past monumental glaciers, icy blue lakes, enormous mountains and stretches of road that simply have to be seen to be believed. I have broken it down in a separate post to all the spots that I consider to be the best in order from Lake Louise. The majority of travellers spend only one day on the Icefields Parkway, but in my opinion you should spent at least two days exploring it. I have driven up and down this road countless times and still didn't get to experience everything! 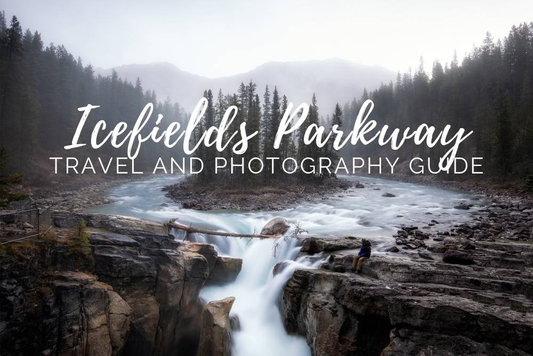 At the end of the Icefields Parkway you’ll end up in the town site of Jasper, a well located little town with plenty of things to see and do. The two major campsites here are called Wapiti and Whistler. Both are huge with plenty of sites and cost anywhere between 27.40$ and 38.20$ depending whether you need electricity and sewerage. I personally prefer Whistler but both are pretty similar. 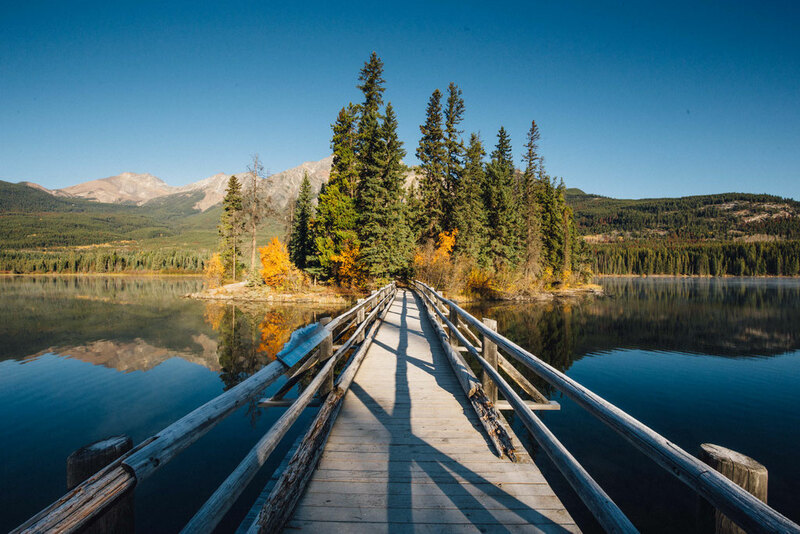 Both campgrounds are really close to each other and both are only around 5 minutes south of Jasper's town centre. I would recommend staying a couple of nights here. 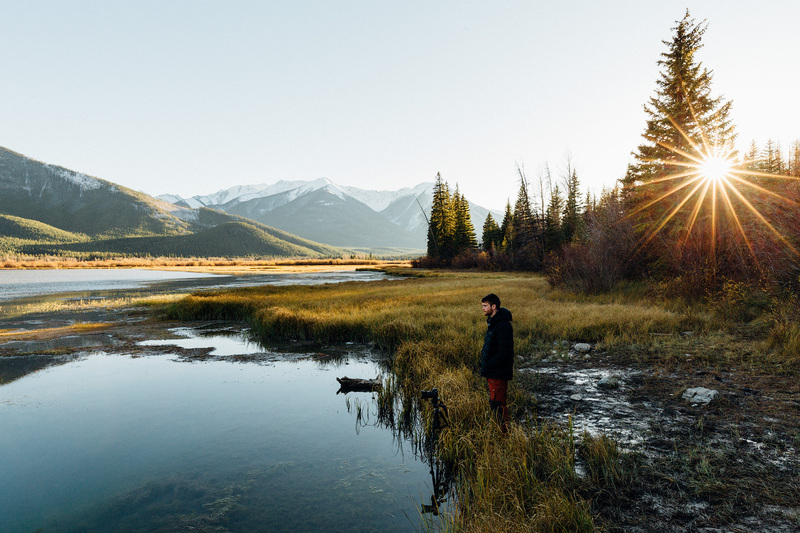 Jasper is the central hub to many beautiful spots in the Jasper National Park region. 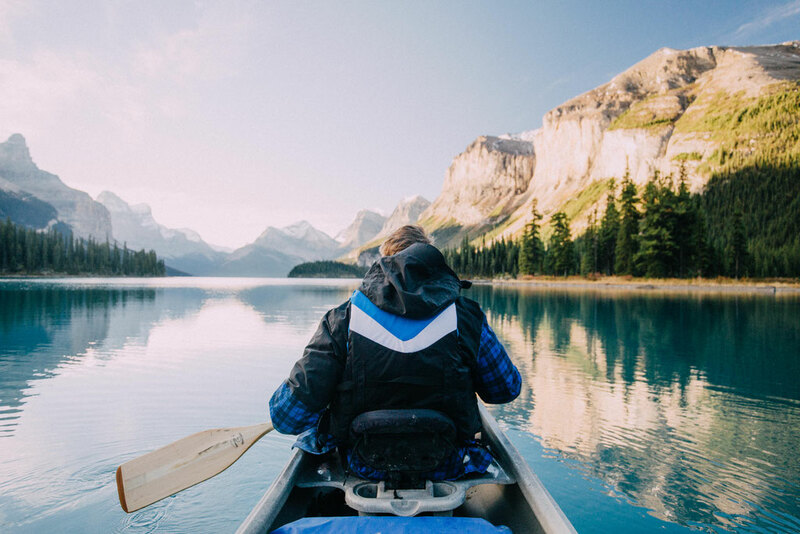 A boat cruise on Maligne Lake has to be one of the best activities in Jasper National Park. It’ll take you half way down the lake to Spirit Island (one of many top photography spots in Jasper NP) where you’ll disembark and have a chance to take in the view. If you are feeling more adventurous you can rent a kayak or canoe and paddle there yourself, just be prepared for a long day (26 km round trip). If you have an extra day you can consider staying a night at the Fisherman's campground accessible only by boat or canoe. This will require a bit more organizing ahead though. Maligne lake is around 1 hour drive from Jasper. The Sulphur Skyline, one of my favorite hikes in Jasper National Park, departs from the car park at the Miette Hot Springs which are a 61 km drive from Jasper. Head north on highway 16 for 44 km then turn right onto Miette Road next to the Pocahontas bungalows. Follow the Miette Road until the end where you’ll find the trailhead. The hike offers unbelievable 360 panoramic views but is a steep 8km return which should take around 5 hours. When you get down, a geothermal hot pool soak will be waiting for you. The Miette Hot Springs cost 6.05$ as they are owned and operated by Parks Canada. They have 2 hot pools and 2 cold pools which contain these 5 minerals: sulfates, calcium bicarbonate, magnesium and sodium. If you’re brave try the coldest pool. If you've done the Sulphur skyline hike this will be the perfect way to relax afterwards. The hot springs are only 100 meters away from the trailhead. As well as Banff, Jasper has it’s own gondola too. It costs CAD45$ and offers spectacular panoramic views from the top. You can hike up there too but it’s 1000m elevation gain so I haven’t yet attempted it. There’s also a hike you can do at the upper gondola station to Whistlers Mountain or Indian Ridge. 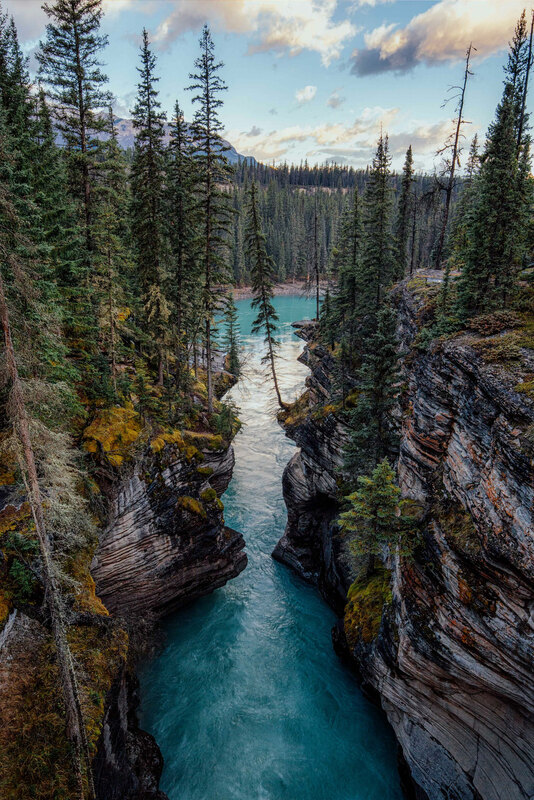 Maligne Canyon is just 11km outside Jasper along the Maligne Lake Road. It’s an undulating 7.4km return which should take around 3 hours. It’s beautiful during all times of the year but my favourite is when the snow melts at the start of summer and the river is at its most ferocious. Always the further you get away from the parking lot the quieter it becomes. Just a side note. There are two bakeries in Jasper called the Grizzly Paw and they do the most amazing cinnamon rolls. Don't miss out! On your return back south toward Calgary turn right at Lake Louise back on the Trans Canada Highway 1 on the way towards Field. 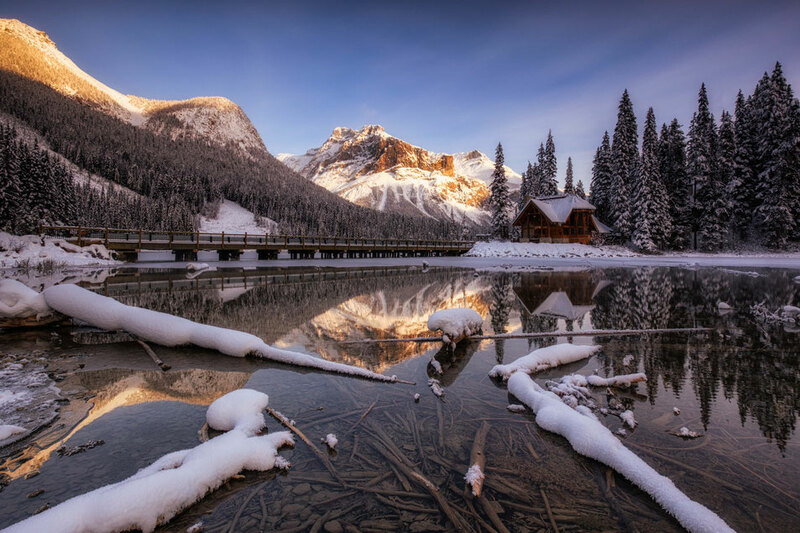 You will now be entering Yoho National Park. The best located campsite is called Kicking Horse Campground and it costs 27.40$. A small price to pay for such an epic location. A good half day hike and one of the most popular in Yoho National Park. It’s a 12km (7mi) loop that should take around 4 hours. It will leave you in awe of it’s natural beauty. 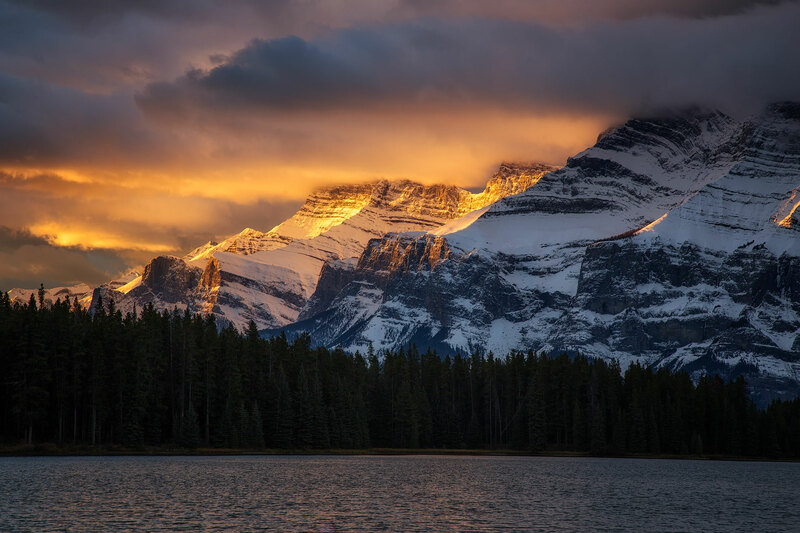 After all Yoho is the *Cree word for awe. That’s a Yohosome fact isn’t it? Another beautiful place to photograph in this area is Emerald Lake. 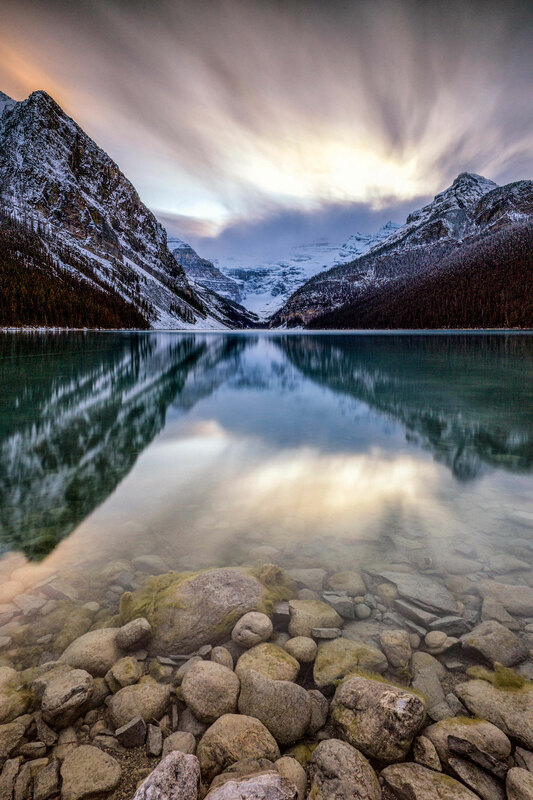 Just a short 15 minute drive from the campground this photogenic lake should be on your list of things to do and see as it's one of the most photogenic places in the whole of the Canadian Rockies. If you are one of the lucky ones who pre booked their bus trip to Lake O'hara, good on you. This remote lake has very limited visitor allowance per year making it a sought after amongst outdoor lovers. I've been here in both Winter and Summer season and have put together a separate guide to Lake O'hara. You should check it out! *Cree is a 3000 year old language spoken by the Cree people. From the campground in Field it’s a 102km (ca. 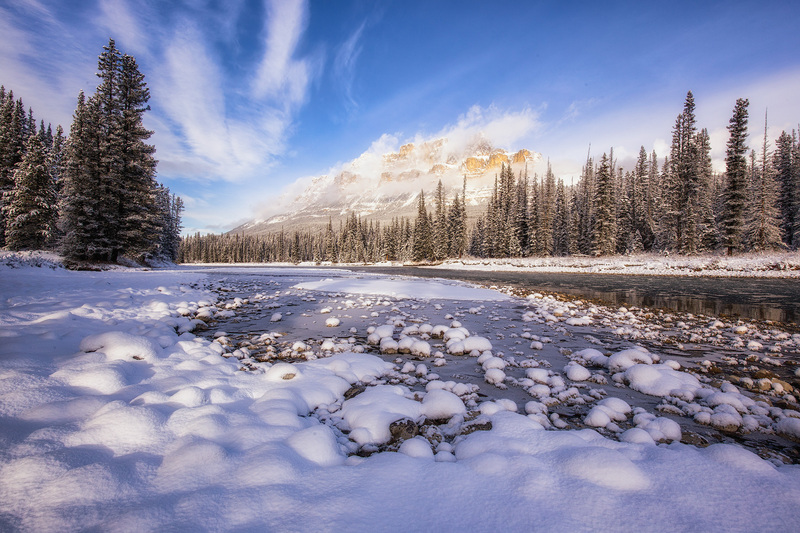 1 hour) drive to Canmore, your last destination on this itinerary. 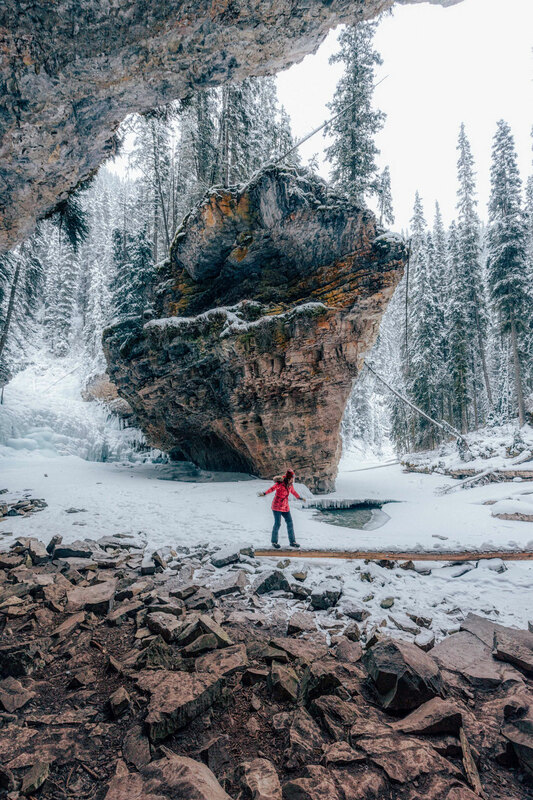 The small mining town has, in recent years, seen a huge growth due to the cap on building development in Banff National Park. 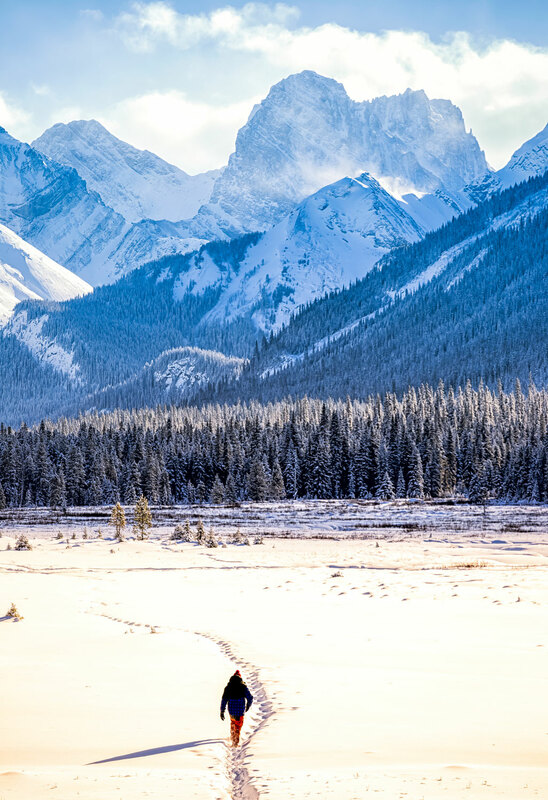 This is where I have spent the picturesque winter when living in Canada so maybe my opinion is a bit biased, but I truly find Canmore and its surroundings more beautiful than any other place on this itinerary. The two campgrounds that I would recommend are the Bow River Campground (26$ per site) or the Spray Lakes West campground near the Spray Lake Reservoir (26$ per site), with the latter being my preferable choice. Spray Lakes site is around 20 minute drive from the town centre on the Smith Dorien highway (or more like a well maintained gravel road). The views next to the campground are some of the best you will get. If however you want to be closer to the town, Bow River Campground should be your choice. Do bear in mind that it's a bit close to the highway and it may be a bit noisy. 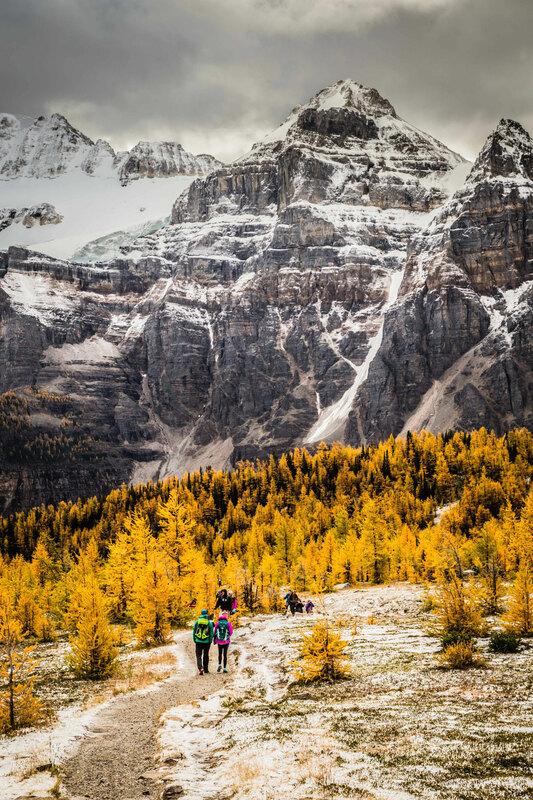 Ha Ling Peak is the most popular summit in the Bow Valley. From the car park down the Spray Lakes Road it takes the majority of people 2 hours to get to the summit and just over one hour down. The short 6km hike is quite steep as it includes an elevation gain of 737m (2417ft) but the views from the top are spectacular. I have done this hike multiple times including one sunrise quest to the top. 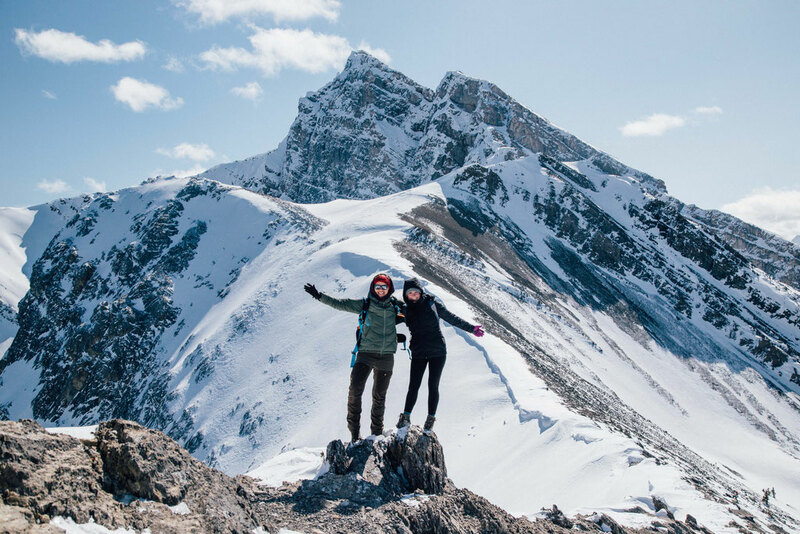 The Sarrail Ridge is a moderate 11km (7mile) 5 hour return hike which starts down in Kananaskis Country near the eastern tip of the Upper Kananaskis Lake. The first half, although slightly up hill, is relatively easy. The second half is a much harder 45 degree almost scramble to the lookout. This route, which is popular on weekends with Calgary locals, is very quiet during the week. It's one of many superb hikes in Canmore and Kananaskis Country. Engadine Lodge and the Moose Meadows is a 38km drive (1 hour) down the Spray Lakes/Smith Dorien trail from Canmore. It’s a beautiful place to go for a nice cup of tea or a slice of cake in the afternoon. The meadows that surround it are very picturesque with little streams flowing through them. It’s also, as the name suggests, a very popular spot to see moose. 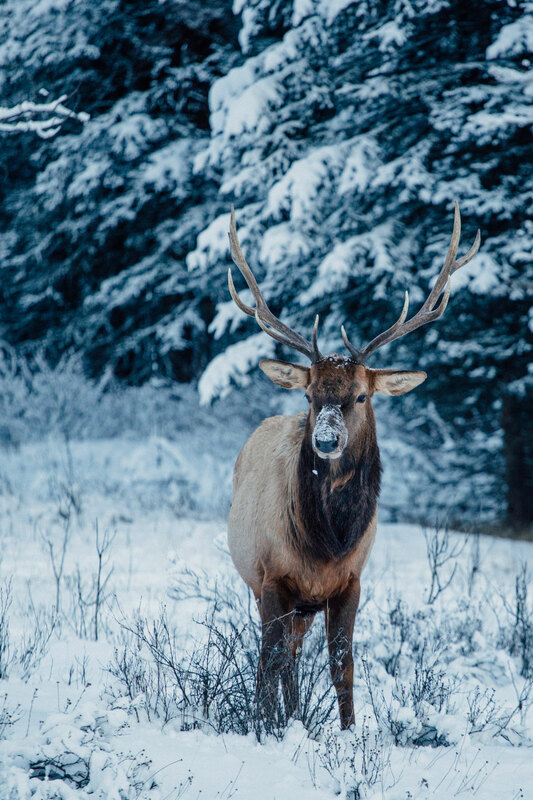 The meadows are one of the best spots in the Canadian Rockies to spot wildlife. 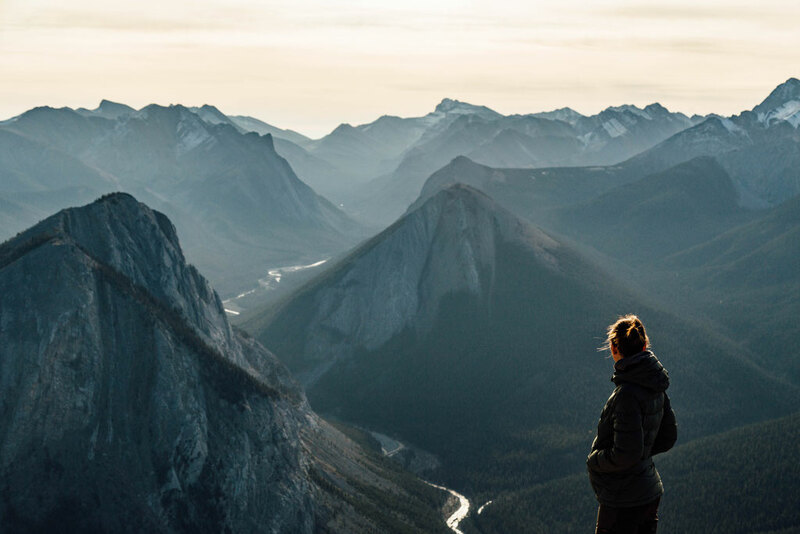 Canmore and Kananaskis, just like any other area in the Canadian Rockies, have some incredible photography spots. 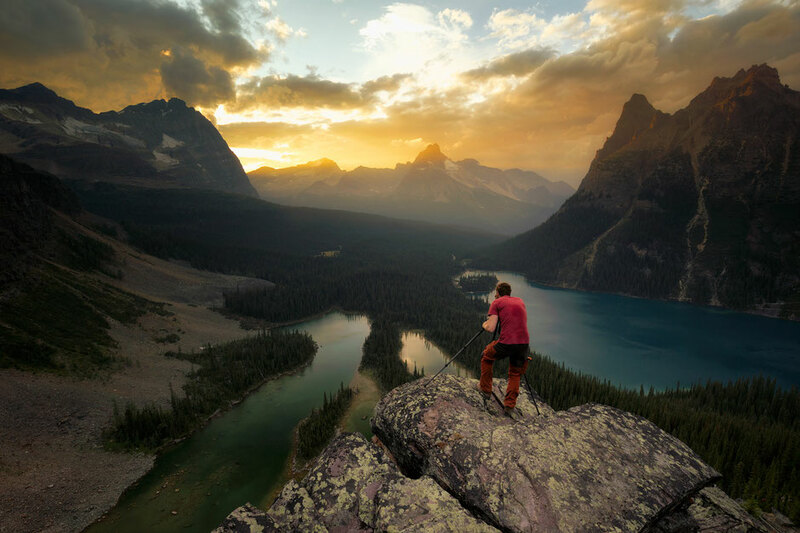 They range from mountain peaks to alpine lakes and will fill your soul with inspiration. 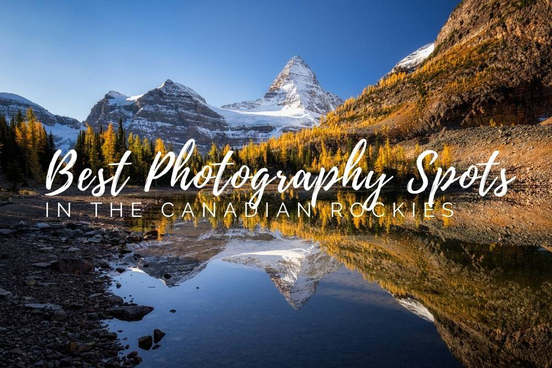 See how many of my awe inspiring photography locations in Canmore and Kananaskis you can fit into your trip!!! From Canmore it’s just 120km or 1 hour 15 minutes to Calgary International Airport. Follow the Trans Canada Highway back east and proceed along the signs for the airport. Now that you’ve had 2 weeks in the Canadian Rockies I’m sure you’ll understand when I say that one could easily spend a life time here and not see it all. However if you follow this itinerary you will have made a pretty big dent. Wikicamps app - it will help to navigate you to your campsite, popular visitor spots, public washrooms etc. Have you got any questions about this itinerary? Post it in the comments and I will answer them!